Black Cherry Tree For Sale Online. Fast Shipping. 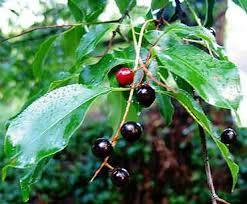 Black Cherry tree is a woody related species belonging to the Prunus family. These plants enjoy plenty of sunlight along with other species growing mostly in old fields far away from structural location concerning their sizes. In springtime, their clusters of tiny white flowers show such beauty hinging in columns. Making it a highly desirable shade tree for your backyard with its vast quantity of small cherries produced every summer. This is an important food source for the birds and animals in the wildlife. It is also suitable for making jams, cherry pies, it is a crucial health source of medicine for common cold, bronchitis, whooping cough, and its barks used to make medicine. 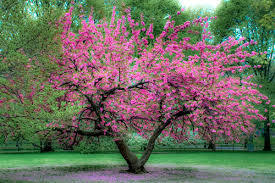 The black cherry trees is a large tree that is found in the eastern part of the United States. It may grow seventy feet tall or more. This tree has small white flowers during blooming time. This tree being true to its name will produce cherries. The cherries are red at first but will turn black once they ripened. These cherries are editable and used in many different types of dishes. This tree is often grown on farms, and the cherries are sold for commercial uses. Many homeowners will put the Black Cherry tree in their yard since it is gorgeous when it is in bloom. The Black Cherry Tree has flowers that have roughly 20 stamens and five small white petals and are very fragrant; there are around 40 flowers on each raceme. Its fruit is a drupe that is 1 cm in diameter, and its color ranges from green to red at the beginning of growth and then black when ripe. It is usually quite bitter when eaten. The fruit is eaten by birds and sometimes other wildlife. This tree trunk holds sturdy branches that undergo mutation appearance, with its dark green, spear shape, sharply pointed leaves that turn into shades of yellow and red, in the fall season. Among America's most common trees, the classic Black Cherry Tree is a favorite and is highly-prized for its gorgeous deep grained hardwood. Another fantastic asset is its plump, tart cherries. In spring it gives off sweet scents with its white blooms. It signals the late period of summer with its legendary clusters of rich, dark fruit. Its unique and gnarled bark that is present when the tree is fully formed gives it a single character, and its bark gives off a faint smell of almonds. Many birds and butterflies will be grateful that you have planted it when they live in its branches. This tree makes a great addition to any yard or home garden.